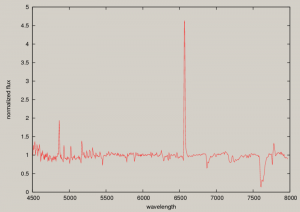 We obtained a low-resolution (R about 550) spectrum of this object using the 1.3m Araki telescope at the Koyama Astronomical Observatory on Mar. 27.74 UT. 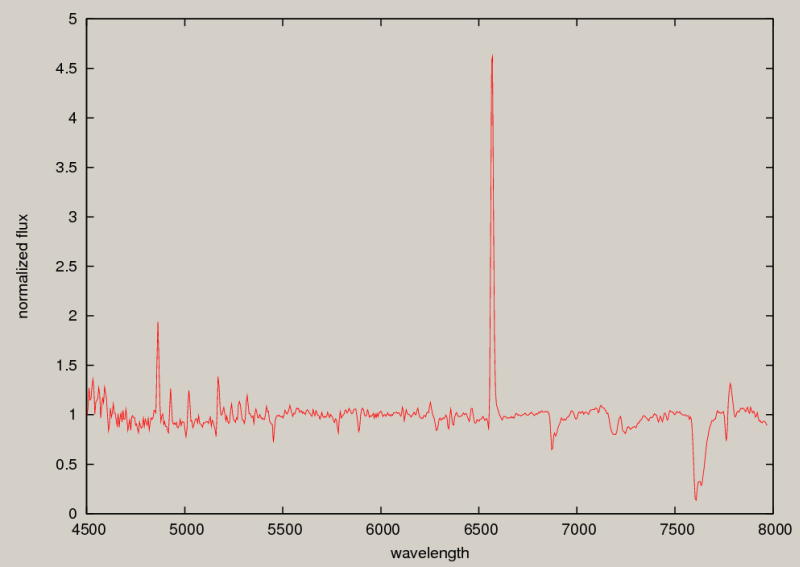 Our spectra show prominent emission lines in H_alpha, Fe II and O I(777.4nm) with P-Cygni profiles on a highly reddened continuum. The H_beta is also shown in our spectrum. The fwhm of the H_alpha is about 600 km/s. These features suggest that the object is an Fe II-type classical nova.